Quite popular club Tunnel began its educational activities in the last century, in 1995. As you might guess, a new establishment located (with the trend of those years) in a neglected area of ​​the former railway warehouse. That is since that time played here the most interesting local alternative and independent teams. In addition to the "tunnel" fashionable twist movies, read poetry while unrecognized geniuses. Creatively minded radicals of art arrange the most unexpected performances. Well, as usual clubbers, breaking away from the soul, dance all night, usually before the first trains. Regulars advise: to come to the Tunnel is closer to midnight, when the fun begins.The upcoming techno scene in Milan is best shown in Tunnel Club. 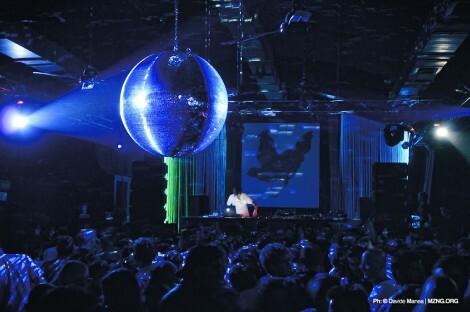 With an alternative club background of the 90s, the underground atmosphere still lingers here. The location is an old tunnel under the railway of Milan close to Central Station. The brick walls and steel pipes are still intact behind the clubs decor which give the club its underground feeling. There are two standard nights in Tunnel Club and aside from these they have small Indie concerts as well. On Friday they have ‘Le Cannibale’: an alternative night with artistic features and electronic music. On Saturday there is ‘Classic’: this is where the top DJ’s of the techno scene come to play. A few of last years DJ’s were Ellen Alien, Nina Kraviz, Guy Gerber, Nicolaar Jaar, Henrik Schwarz and Ame & Dixon. Although the crowd is hip and the club is alternative, this is not a typical Milan club where people only go to see and to be seen, people actually come here for the great music. The rather small size of the club makes for a great intimate atmosphere, especially with the Indie/Electronic nights. A few of last years performers were Wolf & Lamb, Soul Clap and Crystal Fighters.